Mantels Plus provides installation, service and cleaning of fireplaces. 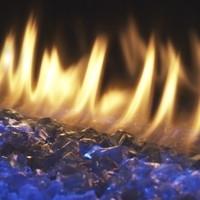 Most fireplace manufacturers recommend a yearly service of fireplaces by a qualified technician. A clean fireplace not only looks more appealing, it will also run more efficienty and can extend the lifetime of many of its components. Call us to schedule cleaning and maintenance for your fireplace. From time to time, your fireplace may not function properly. Our in house, licensed technician can diagnose and repair your fireplace to get it back up and running for your enjoyment. We can rough in and install your gas appliances including your gas BBQ.